eliminate over-spray while deep cleaning the carpet with unparalleled results. 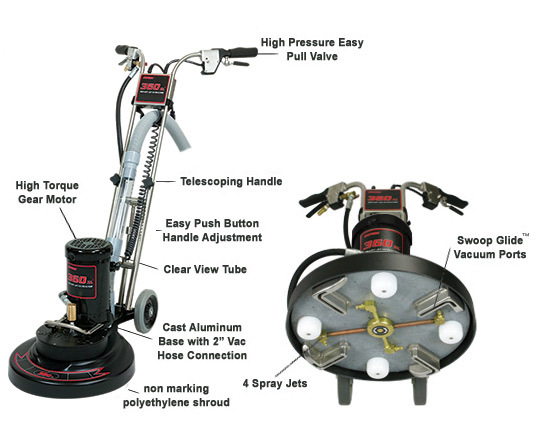 The Rotovac 360XL is a Patent Pending Rotary Extraction Power Head that utilizes rotary vacuum heads to thoroughly deep clean carpet with hundreds of multi-directional cleaning passes. The 360XL weighs only 68 lbs and is extremely easy to use as it operates in a self propelled side to side motion. Simply stated, “The 360XL cleans better with less effort.